Please fill out the form provided below. We will get in contact with you as soon as possible. Would you like to request a quote for a Bass United Systems, Inc.? What is elevator recall and why is it necessary? Elevator Recall is the operation of an elevator when it is recalled to a specific landing and removed from normal service because of activation of firefighters’ service, either automatically or manually. 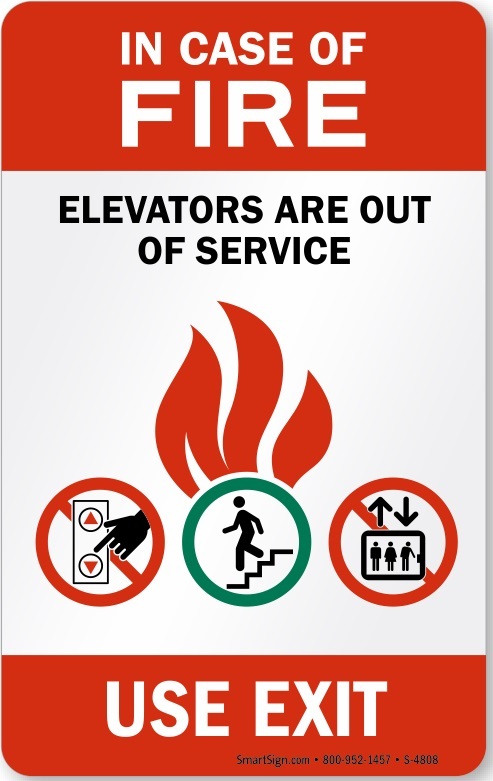 In the event of a fire alarm activation or stand-alone elevator recall initiating devices (smoke and heat detectors), from a device located in elevator lobbies, elevator machine room, or elevator shaft, the cabs are automatically recalled to a facility’s predetermined floor of egress, and illuminates a fireman’s hat or flashing hat, should the smoke detector in the elevator shaft or machine room activates. This alerts the firefighters that are using the cab that fire may be present in the elevator shaft or machine room, making the use of the elevator a risk to their safety. Elevator recall is automatically or manually initiated to prevent the possibility of the public being delivered to a smoke or flamed-filled area. The cab will proceed immediately to the proper level and open its doors. In buildings with fire sprinklers located in an elevator machine room and elevator shaft, a placement of a heat detector within 24 inches of the sprinkler head, and connected to a fire alarm system shall cause a shutdown to the elevator power via a shunt trip mechanism when activated. The purpose is to save the equipment from electrical damage, wet breaks, or an uncontrolled loss of power which may cause individuals being trapped with possible deadly results. The requirement for fire alarm systems and elevator recall is referenced through numerous codes, as addressed by ASME A17.1, ASME A17.3, NFPA 13, NFPA 70, NFPA 72, NFPA 101, local building code or local building ordinance. Enforcement by both the fire department (AHJ) and the local elevator inspection department may be required. This research can get complicated to due to each code addressing a slice of the pie, so there isn’t one location that you could look to for application guidance. We strongly recommend you hire a local professional (fire alarm contractor, electric contractor, elevator contractor or engineer) to help you through this complicated process. Smoke and heat detector wiring must be monitored for integrity by a commercial fire alarm control panel. Locally powered smoke detectors and stand-alone heat detectors are not permitted to be used. The installation of a smoke detector in a parking garage elevator lobby is not required. Heat detectors are acceptable. Smoke detectors are not allowed in the elevator shaft without sprinklers. The fire department (AHJ) is permitted to allow machine room and elevator shaft smoke detectors to initiate a supervisory signal instead of an alarm signal. Dedicated elevator shaft and machine room waterflow switch (without a retard delay) can perform the shunt trip as well. Only the automatic detectors located in elevator lobbies, elevator shafts and machine rooms are permitted to initiate the recalling of elevators. In no case should an elevator be recalled by a manual pull station or by detectors located in other areas of the building unless mandated by the fire department (AHJ). Many fire departments (AHJ’s), during the permitting process, may require a complete upgrade of the facility. Check with your local fire department (AHJ). Many older fire alarms do comply with code requirement, and may be suitable for elevator fireman’s recall, in lieu of upgrading to newer technologies. Code will allow newer smoke and heat sensing technology, i.e. air sampling, aspirating devices, wireless fire alarm devices, and linear heat detection, thus reducing maintenance and installation costs. All fire alarm devices related to elevator recall are to be tested and comply with your local fire alarm codes. In summary, the fireman’s elevator recall and fire alarm system may need to meet additional criteria that apply to less than common circumstances, so be sure to employ an experienced fire alarm contractor that will proactively coordinate the electrical and elevator interfacing requirements. A properly coordinated integration between the two systems can make the difference between passing the first inspection and incurring additional costs due to subsequent re-inspections. Copyright © 2019 BassUnited.com All rights reserved.